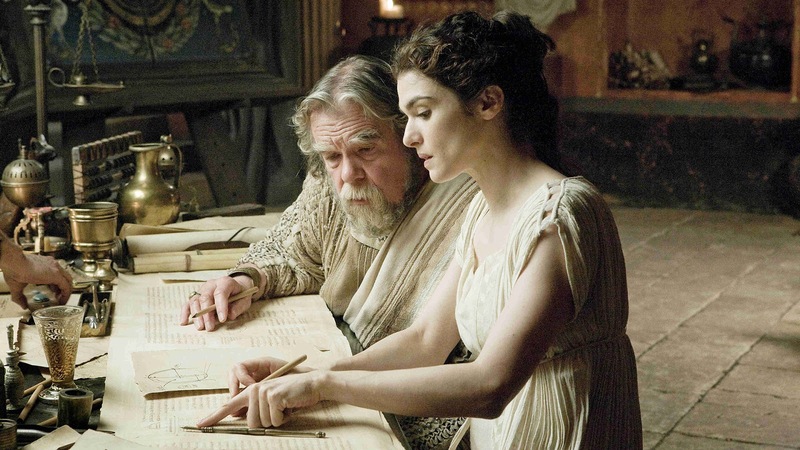 Not so long ago I mentioned great city of Alexandria in post Constantine & Naissus when I described the horrible misfortune and death of Hypatia, one of the greatest philosopher and astronomer of 4th century AD, who lived at the very end of classical Greek era of prosperity. Within the same city walls, couple of centuries before, one of the equally greatest and famous scientists of all times, Claudius Ptolemy was living, exploring, teaching and dedicating his life in various disciplines including astronomy and, of course, unavoidable astrology which was considered to be "connected science" for centuries, especially in the old ages. Among other things, Ptolemy will be remembered as the one of first scholars who described and identified 48 constellations of clear and unpolluted nightly skies above Alexandria so many centuries ago. One of the biggest constellations in his list was the great constellation of Gemini. This zodiac member* (one of 13 constellations who appears in the background of the Sun during one year of Earth's orbit) is made out of 80 stars. Perhaps the most interesting stars in Gemini are two "twins", Castor and Pollux (twin brothers from Greek mythology), who are among the brightest star systems of the heavens, first being a system made out of 6 stars gravitationally bonded while the other is an old and evolved giant star. These two stars are the pillars of the whole constellation and certainly the most important stars in the Gemini but from the point of view related to this post's title maybe more interesting star in the constellation is it's 37th member. A star without a name with astronomical designation HD50692 and simply called 37 Geminorum or "37 Gem". It came to focus during the year of 2003 when astronomers Jill Tarter and Margaret Turnbull under the Project Phoenix (a part of SETI) published the article Target Selection for SETI. I. A Catalog of Nearby Habitable Stellar Systems. The goal was to by thorough examination of various star features (like star age, composition, similarity to the Sun, capability to harbor stable habitable zone where liquid water can exist etc.) to narrow down 118,218 stars from the Hipparcos Catalogue database to the relatively small number of potential SETI targets. The result of the research is The Catalog of Nearby Habitable Systems (HabCat) with selection of 17,129 candidates with potential habitable exoplanets capable of complex life similar to Earth. After this initial research is done in 2003, according to one of the paper writers, astrobiologist Maggie Turnbull, "37 Gem" was most likely the best candidate to harbor an Earth twin planet within its Goldilocks zone. The star is stable and non-variant, middle-aged and just a bit hotter and brighter than our Sun. It is located 56,3 light years from our Solar system and it is one billion years older than our Sun. Now, if this system is reach with elements originated from old supernovae explosion in the distant past like in our planetary front yard and if major cosmic collisions and natural doomsday scenarios didn't interfere much with evolution of lifeforms, then this star and its potential planetary system is more than promising. However, so far no planets are detected in this system and no radio messages are caught from this direction but if some Earth like planet is there and, in one potential scenario, if some sort of intelligent life emerged and evolved, the fact is that they had one billion of years ahead of us. In simple words if alien humanoids or whatever they look like exist, they could be far more advanced than we are and they maybe don't communicate with radio waves anymore. Furthermore, if interstellar travels are possible with some sort of 'warp speed' spaceship technology it is likely that they already developed it by now. Not to mention that this kind of advanced civilization would be fully aware of all star systems in their neighborhood of say 100 light years in all directions. In other words, if they exist, they already know about us. Astronomy, of course, is the science dealing with extremely large numbers and thanks to many new techniques in interstellar observation, we now know great deal about star "37 Gem". Even though two stars are similar in many aspects, it is actually not the exact Sun twin. Like in case of identical twins of one mythological story of Castor and Pollux, the two stars are different. Slightly, but they are. Way back in the year of 2004, I read one interesting hypothetical question within popular Serbian Astronomy Magazine. Miroslav Filipović, one of the astronomers who worked at the time at Australian Parkes Observatory asked very interesting question. He wondered what would happen if we took the almighty hand and in one millisecond replaced our Sun with "37 Gem"? It was actually interactive quiz question (here is the Serbian link) and I couldn't resist not to post my thoughts on the subject. Basically I said that this scenario would be catastrophic for our Solar system. All orbits would start changing immediately and our Goldilocks zone would suffer the most as the asteroid belt would go into chaotic stage and in the process of adjusting to the new boss, until all orbits stabilizes, Earth would probably loose all habitable properties due to asteroid bombardments similar to the early stage of Solar system and life as we know it would most definitely seize to exist. The biggest unknown to me was what would happen to Jupiter? This giant planet and its orbit acts as a gravitational balance between main star and all other planets and with its enormous gravity attracts all killer objects toward itself and keep the asteroid belt in line. The moral of the story is that even the slightest difference between two stars can be the major difference in their system geometry and behavior. Not to mention that if we use our Solar system analogy, in order for life to survive billions of years of evolution, there must exist one giant planet in right position in order to protect the planets in habitable zone from serious attacks from large asteroids and comets. If we put this story into consideration, it seems now that finding Sun's twin doesn't guaranty the existence of habitable Earth like planet capable of evolution of intelligent life. With latest update of this post I tried to simulate this hypothetical scenario in Universe Sandbox. 37 Gem, actually is not part of the app's default library so, to test it out, I just enhanced the Sun's mass to match 37 Gem's, which is estimated to be 1,1 Solar mass. In the simulation result, within hours and days, the Earth's orbit changed and the Goldilocks zone expanded producing the average temperature to jump from cozy fifteen degrees to more than fifty. I am not sure that there is a physics process in existence to create something like this, but this fragileness gave me another stomach twitching nevertheless. But to get back to the title and in light of so many reported UFO sightings all over the world and with lots of stories involving alien autopsies, abducting humans and (ancient) alien astronauts believers we can ask ourselves is there an ultimate connection between Aliens & UFOs? Well, the ultimate fact is that we still have no single proof that aliens exist at all and sometimes, the lack of proof means that it doesn't exist at all and in this case this might be true for our small interstellar neighborhood. So, for now, the answer to the famous question "Are there aliens in UFOs?" will stay "No". UFO will still be what the acronym means in the first place: "Unidentified Flying Object". To be honest, on several occasions I saw UFOs on the sky. One of them pretty memorable - decade or so ago there was one bright light flying very fast above the beach resort in Greece and its magnitude was probably about -5 or even brighter which was probably the brightness of three or four full Venus magnitudes and believe me or not, what first popped to my mind wasn't aliens driving some fancy saucer and instead first thing I thought was that this might be related to the jet military planes from nearby air force base located couples of hundreds kilometers near to the Thessaloniki, the second largest city in the country. 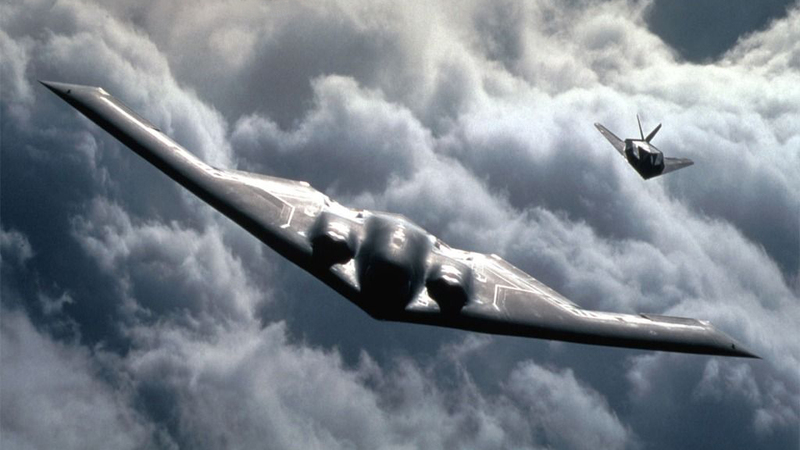 It's not that I am one of those conspiracy theorist out there, it was the simple fact that we were regularly seeing these jets during day light with some of them repeatedly breaking the sound barrier above Aegean sea. However, what I didn't hear that night was the sound of jet. It was flying completely quiet. That fact is still buzzing my mind. But not enough to immediately imagine little grays in shiny alien aircraft in search for abductees. In favor of the fact that there is no proof of aliens visiting our planet or any significant proof of their communications detected in past decades, speaks the 50+ years of radio silence since SETI (Search for ExtraTerrestrial Intelligence) is using scientific research to detect at least one confirmed artificial electromagnetic signal from above. That is if we exclude the WOW! ** signal from the August of 1977. Jerry R. Ehman, american astronomer detected the strong narrow band radio signal that appeared to originate from Chi Sagittarii, shared three star systems in the constellation Sagittarius. However, even though the signal never repeated again, it staid the best candidate for the proof of one alien world 220 light years away from Earth. The signal was 30 times louder than normal deep space noise and the fact that its frequency was 1420MHz, the same frequency the most common element hydrogen resonates at, no doubts points toward the valid conclusion that it indeed was artificial in origin. Too bad it staid unconfirmed ever since. But if it was really a message from the alien race living in one of the star systems of Sagittarius constellation, I could say that I fully understand why it is not repeated (or detected) again. The simple reason is the same why we here don't send messages to the outer space on purpose. Or to be precise why broadcasts sent from Earth to chosen star systems are not continuous messages and instead just some isolated shy and timid dispatches. Ever since SETI started its research in only listening the heavens there is a loud debate whether or not it is wise to send pointed messages to the unknown aliens. There is a simple fear that some of them can be violent and eager to enslave us the moment they receive this kind of invitation. If you ask me I stand to the point that sending these messages is too early. We are still young civilization and it is wise to wait for couple of more decades until we, at least, evolve from residents of one planet into residents of one Solar system. We simply need to understand more than just Earth before we start actively search for the contact of the third kind. Of course this doesn't stop people behind Active SETI or METI (Messaging to Extra-Terrestrial Intelligence) who are trying to send messages ever since first message to ET is sent in form of Pioneer plaques, placed on board the 1972 Pioneer 10 spacecraft illustrating hydrogen atom, naked man and woman and Solar system main objects. Couple of years later first radio message was sent from Arecibo radio telescope toward the 25,000 light years distant star cluster M13. Arecibo message was created by Dr. Frank Drake with help of Carl Sagan and contained simple physics along with mathematical and graphical data and it served more in educational purposes than as an real attempt to contact extraterrestrials. On the other end, there are pointed messages to the desired star systems with more complex data included. Scientists and politicians are not really united when it comes to possible messaging extraterrestrials, not to mention that there is no valid protocol of what we should do if some ET pays us a surprise visit and so far there are no unite efforts to perform active SETI on a global scale. Instead some not very bright individual messages are sent from time to time, like the one sent last year toward the source of WOW! signal with, believe it or not, 10,000 twitter messages. I wonder what aliens would conclude after reading tweets but I am sure nothing good. Equally problematic, to say the least, message called "Teen Age Message" is sent from radio telescope in Ukraine in 2001. The message's content and target stars were selected by a group of teens from four Russian cities. You probably guessed, teens, among other data, have chosen to send an audio file and in this case a concert named "First Theremin Concert for Extraterrestrials". Among other stars, this message is sent toward "37 Gem" as well and it will arrive in December 2057. Then we will know for sure if aliens there like music and art. In conclusion let me say the obvious. The space is cruel place and distances between two star systems are tremendously huge. Technology to build a space ship for interstellar travel is definitely extra ordinary and not just within the realm of solving the cruising speed to be faster than light. I am more than positive that first contact with alien technology will be with some robotic probe instead of live contact with cute and friendly aliens in flash. If traveling through the space was easy and solvable we would probably have a significant proof by now that aliens exist and we wouldn't be buzzing our minds with Fermi paradox and obvious question of why the nightly sky is not filled with alien spacecrafts, deep space stations and beautiful green girls from Orion.